Damon Bates is a Financial Advisor with Raymond James Financial Services located in Wilson Bank & Trust. With over 15 years of experience in the Financial Services Industry, his top priority is to help individuals, families and businesses successfully accumulate and preserve wealth by providing them with trusted expertise to help navigate the financial landscape. Damon builds and nurtures relationships to provide thorough education and understanding, which is vital to establishing lines of communication and feedback from each client. Maintaining a strong reputation and proactive approach with his clientele has entrenched a confidence and trust they value. Damon, a southern Indiana native, graduated from Indiana University Southeast in 1997 with his bachelor's degree in Secondary Education, while also being named as a NAIA All-American in Men's College Basketball. Damon started his career in Financial Services at AXA Advisors in 1998, and shortly after moved to Smith Barney in Louisville, KY. After a a successful stint at Smith Barney, Damon became an Asset Manager/Financial Consultant for Wachovia Securities in Dallas, TX, where he resided through 2010. 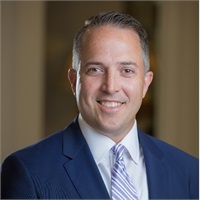 After being relocated to the Middle TN area, Damon was accepted into the Executive MBA Program at the Owen Graduate School of Management at Vanderbilt University, where he was awarded his Masters of Business Administration in July of 2013. Prior to joining the Investment Center at Wilson Bank & Trust in 2015, he was the Director of Client Coverage US for S&P Dow Jones Indices. Damon and his wife, Tasha, reside in Mt. Juliet with their two children, Mason and Sawyer. He enjoys spending his free time with his family and friends, CrossFit classes at Re:Move Training, and playing golf as a current member of Old Hickory Country Club.